The Rattlesnake Arches Loop leads you about 5 miles up, around and down, offering views from the arches from the ground level. 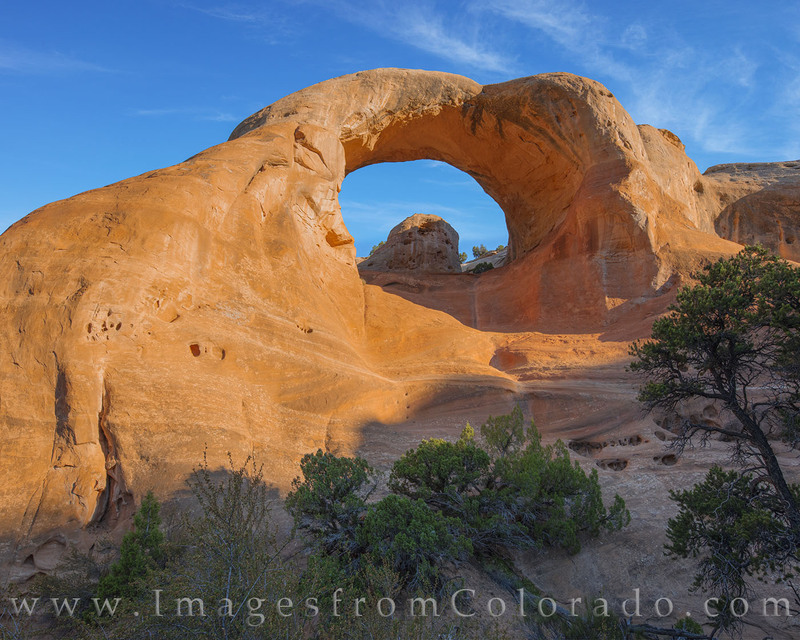 Here, Cedar Arch shines in the morning light. This also marks the point where you either turn around and retrace your steps or make your way up the Class 3 scramble that takes you under the arch and back up to the ridge, eventually connecting with the trail. The decision is yours. We went straight up. It was a little harrowing, and I made sure not to look down.